PR stunts are risky but this one is still being shared years later! The world’s Biggest Shave: How did this large scale stunt for Gillette become a viral sensation? Experiential PR stunts are our favourite kind of PR stunts! Whether it’s crazy flash mobs, pop-up relaxations pods featuring kittens or raptors invading the train station, we love ‘em! 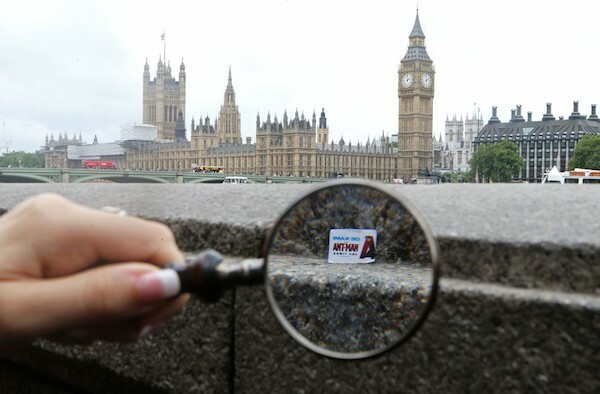 You don’t always have to go BIG with your PR stunt, we recently reported on the release of the Ant Man movie where teeny tiny screening tickets were hidden around London! If you found one then you won a pair of life size tickets to see the movie. PR stunts are unique, clever, relevant and strive to make a point! A great way to generate prand publicity and show people that your brand is fun! Going big doesn’t always have to be the number one option but it sure is fun when you do! 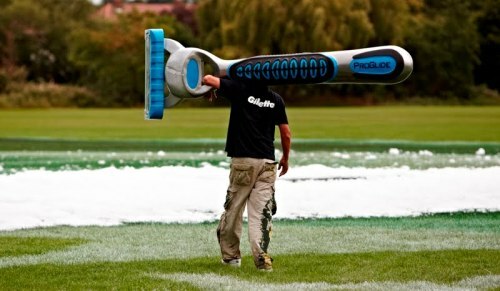 We previously worked with Gillette (the best a man can get) on a large scale PR stunt that had ‘wow’ written all over it! This stunt was to celebrate the launch of their new Fusion Pro-Glide razor. We took 2,800 square metres of English countryside and 3,000 litres of bio degradable paint and created a 70 metre portrait of Tennis legend Roger Federer. The 2,800 square meter image was created in grass using laser guided robots with high-precision technology to plot over 14,000 mapping points required to bring the environmentally friendly image to life. 7 different shades of green specialist grass paint were used to create Federer’s features resulting in the unique portrait. We didn’t stop there! 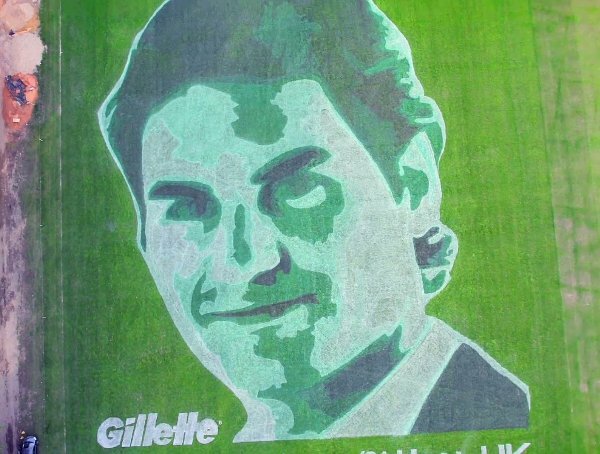 In true Gillette style we lathered giant Federer’s face up for a shave with 1,000 litres of bio degradable foam and then proceeded to give him the world’s biggest shave with a few lawnmowers! Once that part was over we brought in a super sized Fusion Pro-Glide razor and finished up the job, leaving giant Federer with smooth chops! The whole stunt was filmed and captured by a drone. This video generated a huge buzz online and was retweeted hundreds of times from all over the world! This stunt was perfectly timed as it coincided with the Wimbledon games. 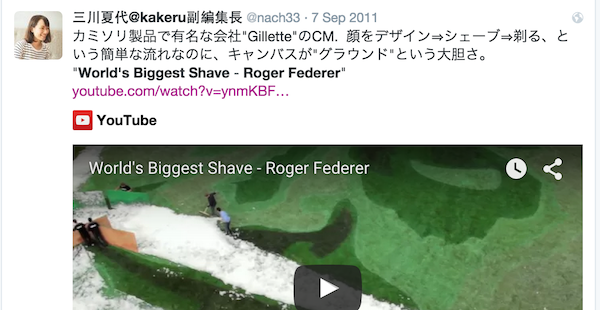 The Federer marketing stunt was part of Gillette's efforts to break their own record for the World's Biggest Shave in 2011. In January, the company lathered up and shaved an image of Derek Jeter on a 40-foot high billboard in New York City. It was great to see Gillette execute this stunt of home turf! 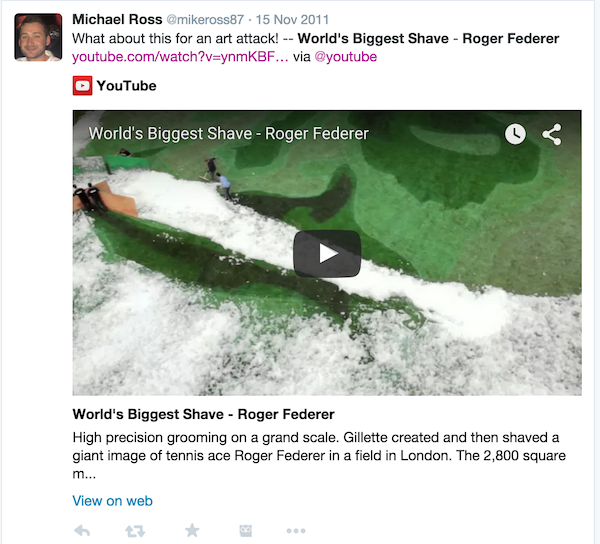 What’s more, last year, the stunt was named the 3rd most shared tennis advert of all time racking up 96,865 shares by June 2014. That is the beauty of a PR stunt, if you capture the magic then it can keep on being shared across the internet! Content is key! Watch the advert below and see how cool it is for yourself! The World's Biggest Shave created for Gillette from Street Advertising Services on Vimeo. If you are in a boring industry and want to make it seem interesting or just want to stand out from your competitors then a PR stunt is a fun and innovative way to make waves. 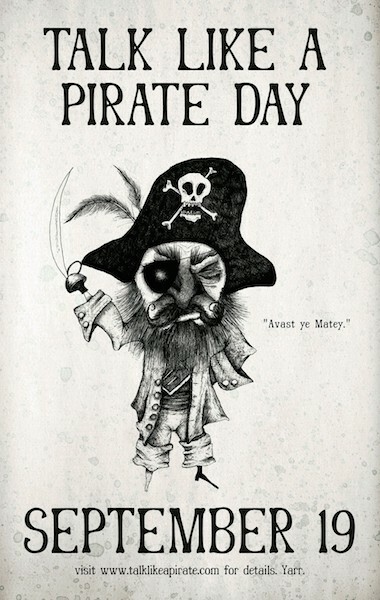 If you feel nervous about putting your stunt out there and what kind of response you might get from it then why not do it on April Fool’s Day or tie it in with a ‘national day’ for example ‘International Talk Like a Pirate Day’. PR stunts really do raise awareness and can even make your brand or company seem more ‘real’ to your customer. Corporations and worldwide brands have used tactics like PR stunts for decades, but more and more growing businesses are using PR stunts to get much-needed promotion for their products and services, and it doesn’t even need to cost the earth! User-generated content from the likes of Facebook, Twitter and YouTube are proving invaluable as users engage in a practice of trust when sharing things online with friends. 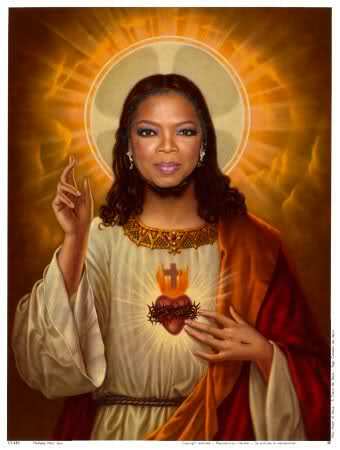 If you are going to Tweet about something, you must really feel something for the subject matter. The internet means that your material can be shared around the world thousands of times for free and it means a whole lot to your brand image. The Gillette stunt was executed in 2011 and is still being shared and featured in articles in 2015! Sure, PR stunts don’t always go right! but this is usually because the companies carrying them out lacked foresight! You have to ask “what if?”, something that you find hilarious might not be funny to the masses, like placing fake bombs in newsstands, *cough* Paramount for the Mission Impossible movie *cough*…or indeed something which looks great on paper might not be practical out in the real world, like when Snapple tried to create the world’s biggest popsicle and forgot to take into account, a) the searing heat of summer, or b) that popsicles, you know, melt. It's simple: If your content grabs people then who knows how long your campaign can keep having a positive effect in your brand image. What could a PR stunt do for your brand? Find out today with a totally free and no obligation consultation with our expert team at Street Advertising Services! 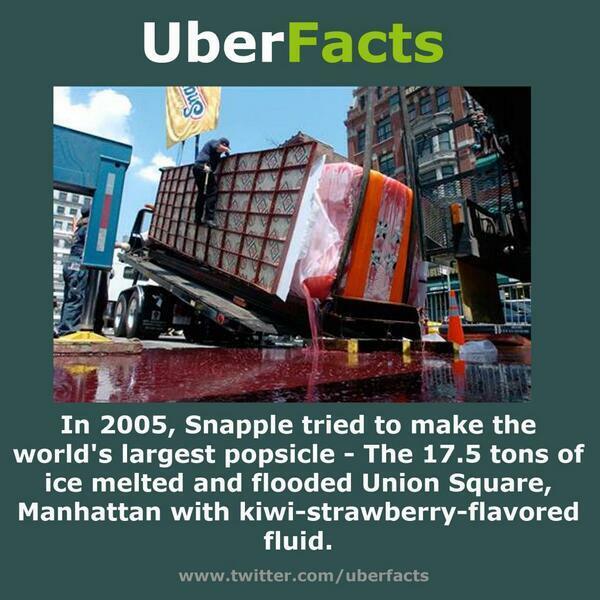 We provide the full works when it comes to PR stunts and we wont be making any giant popsicles in summer, well unless we are in England then we might well get away with it! We have more than 8 years experience in creating successful PR stunts like the ‘World’s Biggest Shave’ campaign. We work with some of the biggest brands and some of the smallest creating sharable content that keeps on sharing!